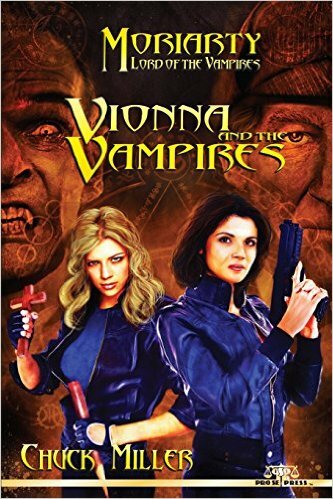 Private eyes Vionna Valis and Mary Kelly (a victim of Jack the Ripper who was resurrected by the vigilante known as the Black Centipede) join forces with the ghost of Sherlock Holmes to battle the Lord of the Vampires, Professor James Moriarty. Moriarty formerly served the previous Lord, Count Dracula, before betraying and killing him. One of Moriarty’s vampire henchmen is a Chinese man who claims to have once been played by Boris Karloff, implicitly Fu Manchu. Holmes and Moriarty’s fates in this story are irreconcilable with their established history in the CU. Combined with the revelation that Moriarty is really Holmes’ oldest brother Sherrinford, this book, as well as the Black Centipede novels by Miller, must take place in an AU.